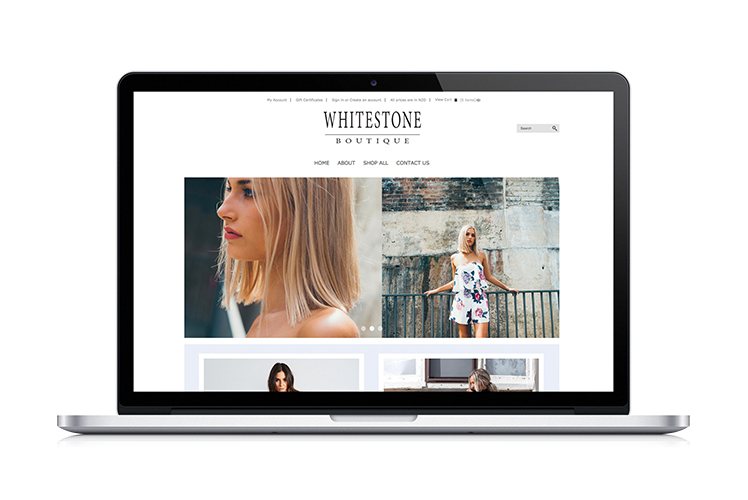 Whitestone Boutique is an Auckland based fashion store. Hannah, the owner, specialises in retailing statement garments that allow shoppers to create their own personal fashion style. Hannah was in the process of creating a start-up online fashion store. She needed both a brand and an e-commerce website designed. With a crowded fashion market, we needed to design a brand that resonated with Hannah’s core target audience – women aged between 18 and 30, and showcase her unique fashion style. 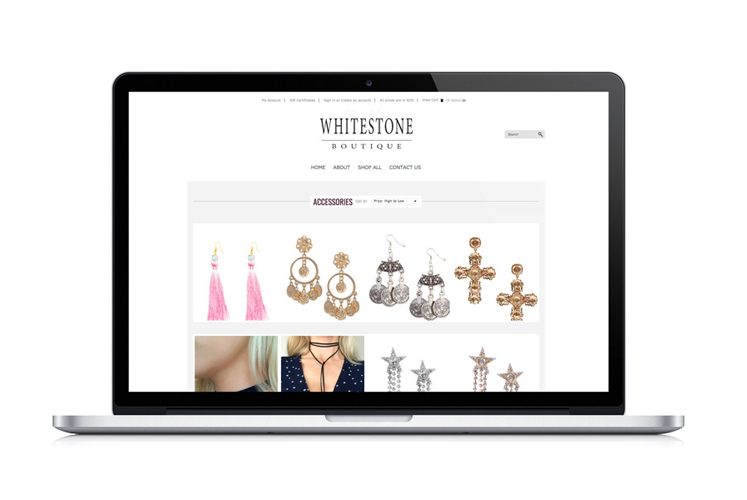 Whitestone products range from competitively priced statement pieces to everyday garments. A well-functioning website with an intuitive navigation path to make shopping easy for the customer, was required. 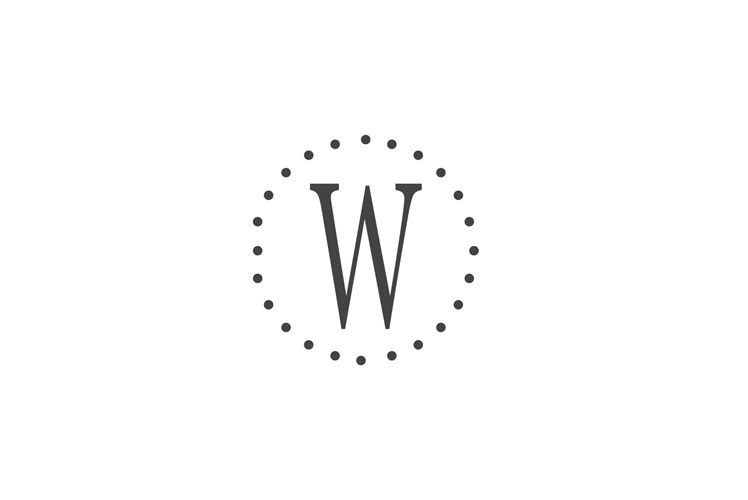 Brand/logo: The Whitestone logo was designed with digital media in mind. We also created a monogram, related to the logo, that could be used as an icon within digital media. We chose black as the brand colour, to avoid the potential for on or off-trend colours in the fashion market. We used a classic typeface that evokes quality, elegance and timelessness. Website: Imagery was key to the emotive elements of the brand strategy. We included the most popular product categories on the homepage to help customers to narrow down their search criteria, if they weren’t simply wanting to browse. An Instagram feed was included so Hannah could add and display her latest products quickly and easily, alongside other social media placement.